You might wonder why you would go through the trouble to make your own breadcrumbs when they’re already insanely inexpensive to buy in the store. Well, there are two really good reasons, if not more. 1) If you forgot to buy them for a recipe and you don’t want to make another trip to the store (story of my life) and 2) to reduce waste. I’d much rather repurpose and use up old bread I have on hand before buying more bread that is already in crumb form. 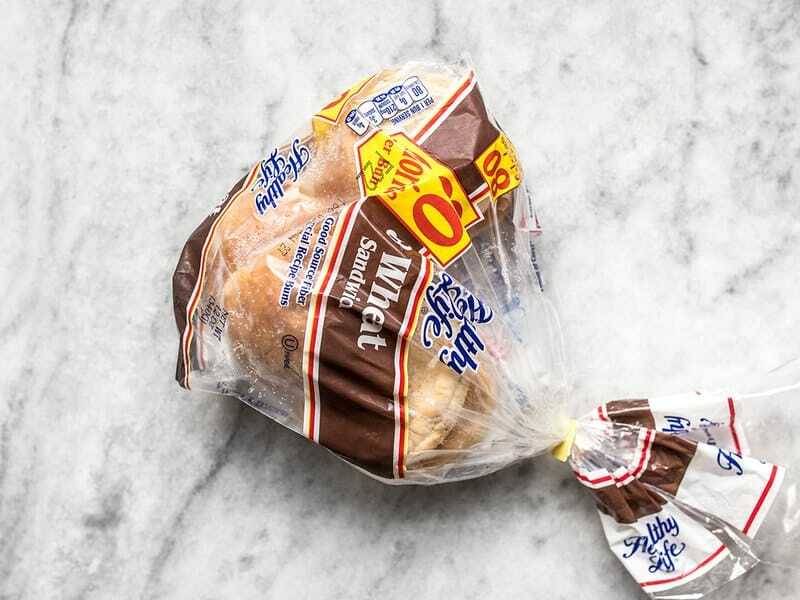 To further reduce waste, you can dedicate a freezer bag to bread “scraps” (stale pieces, the heels of loaves, etc.) that can be turned into breadcrumbs once you accumulate enough pieces. 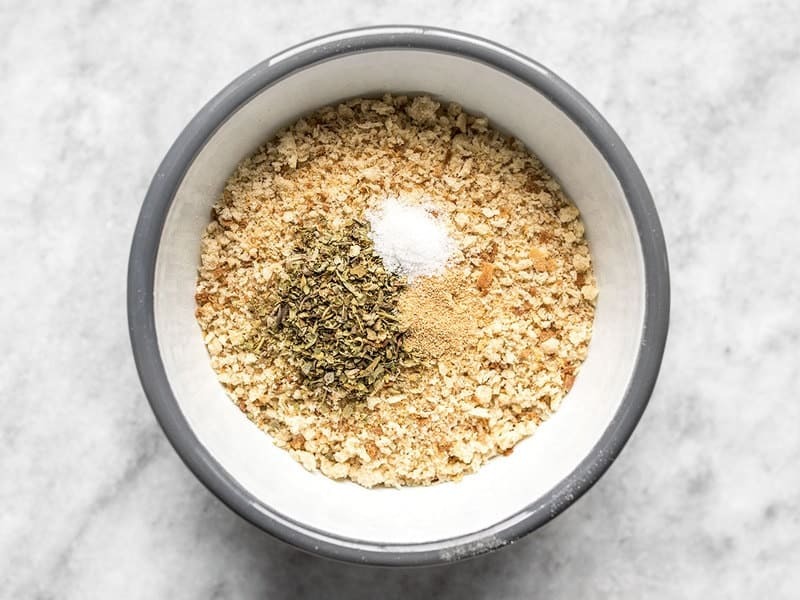 Once you’ve got your scraps, use this simple guide on how to make breadcrumbs, and keep them on hand for use in your meatballs, meatloaves, breading fried foods, or as crunchy casserole toppings. 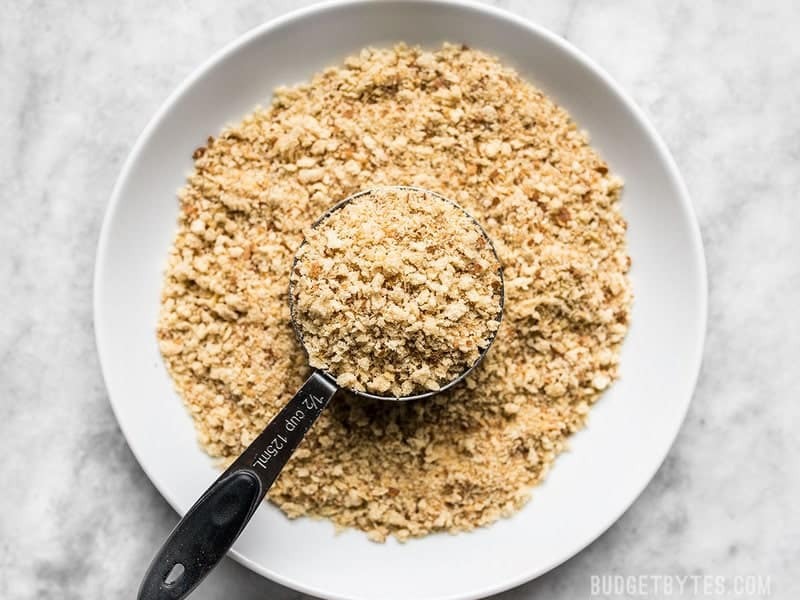 Need help using up your homemade breadcrumbs? Here are all of my recipes that use breadcrumbs. How are Breadcrumbs Used in Recipes? Breadcrumbs are used in recipes to soften and hold moisture in meat mixtures, like meatloaf and meatballs, as a crunchy coating on fried foods, or as a crispy topping for casseroles (usually mixed with butter and sometimes Parmesan). 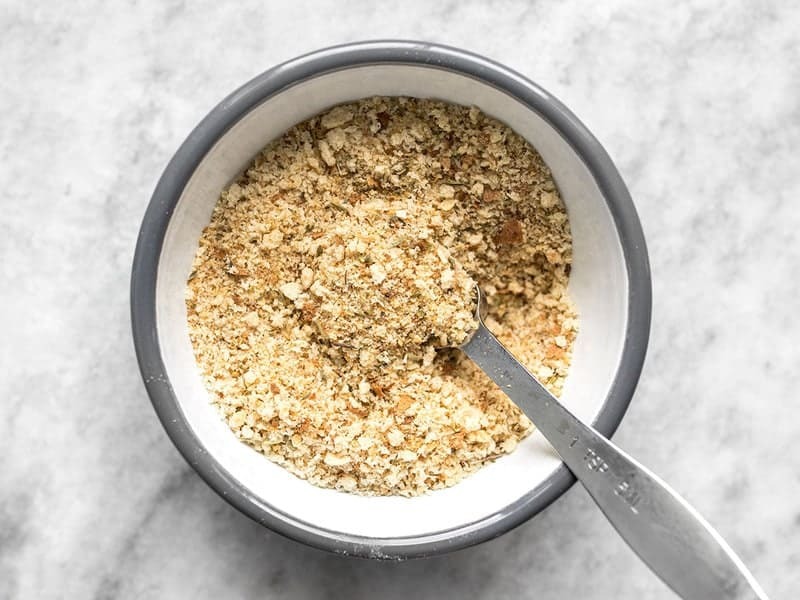 The wonderful thing about homemade breadcrumbs is that the texture is often more coarse and irregular than store bought, which gives more texture to your food. What Kind of Bread Can I Use For My Breadcrumbs? This is where homemade breadcrumbs can get really fun. You can use just about any type of bread! Keep in mind that the variety of bread you use will affect the texture and flavor of your breadcrumbs. Crusty artisan breads will create a more dense and crunchy breadcrumb than say, white sandwich bread, and a rye bread will create a completely different flavored breadcrumb than one made from brioche. 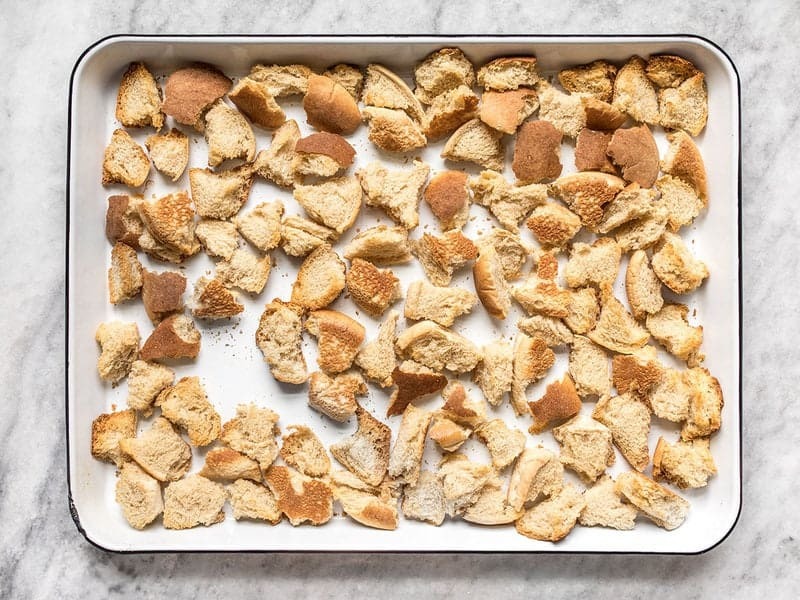 You can play around with your bread varieties to suit the recipe in which you’ll be using the crumbs, or create an variety mix that contains several types of bread, so no flavor or texture stands out. How Should I Store My Breadcrumbs? 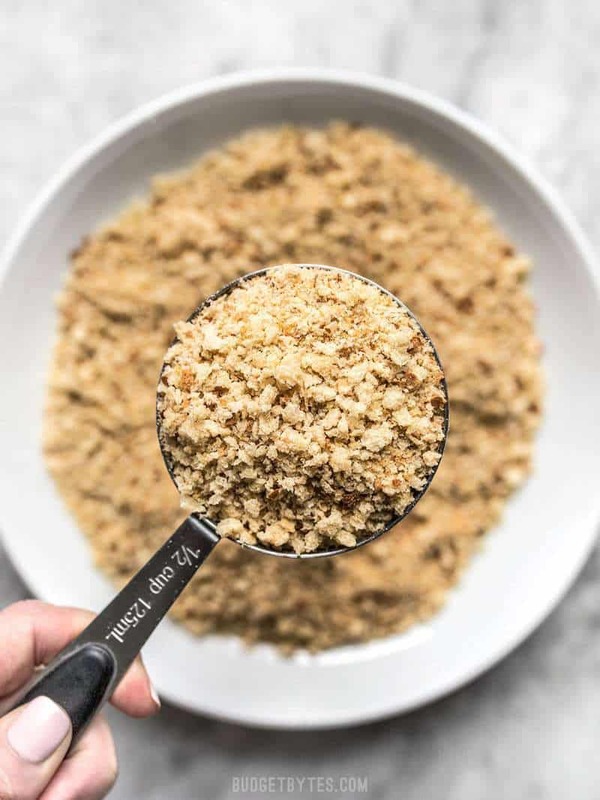 Unlike store-bought breadcrumbs, which are rigorously tested to assure they are completely void of moisture, homemade breadcrumbs may still contain trace amounts of moisture. Moisture can lead to yeast and mold growth, so it’s best to keep your homemade breadcrumbs sealed in an air-tight container in the freezer. Since the breadcrumbs are so small, they thaw almost instantly when added to a recipe, and there is no long defrost time needed. There is no strict cut off date for how long breadcrumbs will stay “good” in the freezer, rather they are likely to just further dry and absorb rogue flavors with prolonged storage. So keep them sealed tightly in thick, freezer-grade packaging (zip top freezer bags are fine). 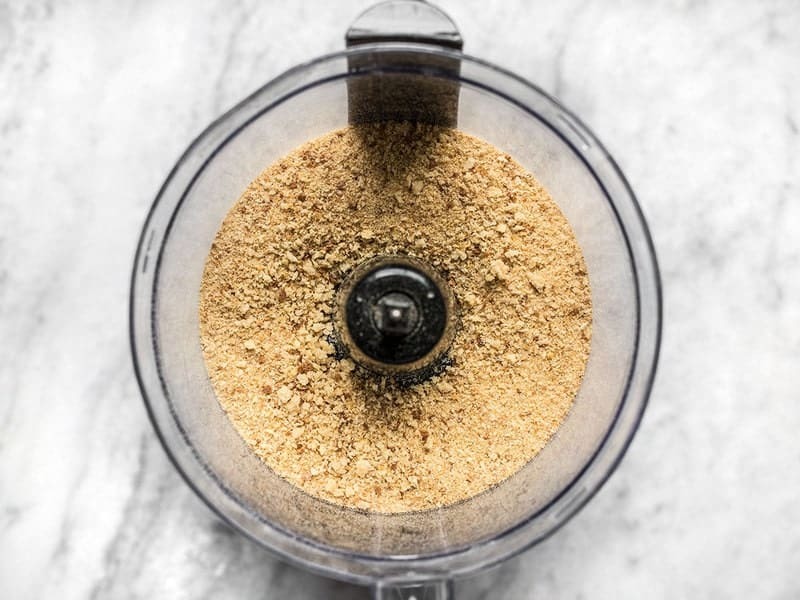 Can I Make Breadcrumbs Without A Food Processor? Yes! Although it can be a bit more tricky. Simply place your dried bread pieces in a heavy duty zip top bag and use a rolling pin to crush the dried bread until they form crumbs. The reason this gets tricky is that if your bread is not *completely* dry, the rolling pin will just smush it instead of making it crumble. So, be extra vigilant when drying your bread. Today I’m making my breadcrumbs out of some old hamburger buns that I had stashed in the freezer. As I mentioned above, you can make breadcrumbs out of just about any type of bread, even leftover buns! Preheat your oven to 350ºF. Tear your bread into 1-2″ chunks, to increase the surface area and make the drying time faster. 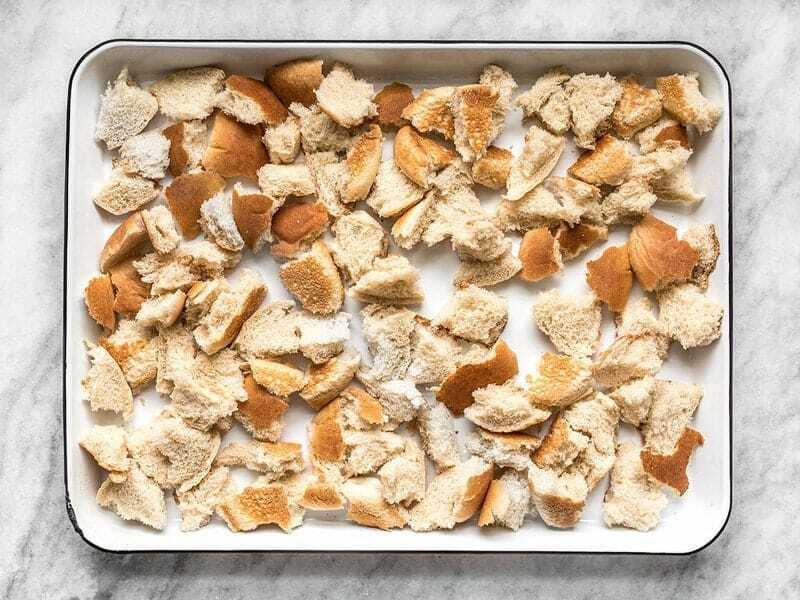 Spread the bread chunks out into a single layer over a large baking sheet. Once the oven is preheated, bake the bread chunks, stirring every five minutes or so, until they are dry and just starting to turn a little golden on the edges. I baked my bread pieces for about 15 minutes. The time needed to dry your bread will vary greatly with the type of bread and the size of your bread chunks, so it’s important to keep an eye on them and stir at least a couple times to ensure even drying. Once dry, remove them from the oven and let them cool. Cooling will allow the last bits of steam to evaporate and drying to complete. Cooling should only take a few minutes. For each cup of your homemade breadcrumbs add 1 tsp Italian herb blend, 1/8 tsp garlic powder, and 1/8 tsp salt. OR, if you don’t have an Italian herb blend, add 1/2 tsp dried parsley, 1/4 tsp dried basil, 1/4 tsp dried oregano, 1/8 tsp garlic powder, and 1/8 tsp salt. And that’s it! The Italian breadcrumbs are ready to use or store. What are your favorite recipes that use breadcrumbs? i too make breadcrumbs at home. i keep the darker, crusts and heels to add to meatballs and meatloaf. water before being added to the meat. i keep the lighter colored bread for making breadcrumbs for deep frying, oven frying or shallow frying. just the light on. when the surface feels dry, then i stir them up to get the bottom parts dryed too. i don’t have to worry about burning the bread. the grating attachment to change the texture of the crumbs. the container back in the freezer. i use two containers, one for fish and one for chicken. My mother never bought breadcrumbs in her life. We rarely did breaded foods, to start with, and cracker crumbs or crumbled cornflakes were the order of the day. We used spiced flour on fried chicken. I still remember her making meat loaf and rubbing a slice of fresh bread in her hands to make the crumbles of bread that helped hold her meat loaf together. She did use a modification of this process to make the “stale bread” for Thanksgiving turkey stuffing. I have always kept “old” bread in the freezer for one reason — my family loves dressing, especially when it also includes cornbread crumbs. We started a tradition long ago that the two sons still believe is the harbinger of the holidays. We arrive at our weekend lake house and I give each boy a very large bowl with bread in it. They love dressing so much that they sit there for almost an hour tearing the bread into small pieces (better than tiny crumbs!) which I “dry” overnight and in the oven the next day if necessary. I make LOTS of dressing and gravy — which also freezes beautifully after the holidays with slices of pieces of the meat and covered with gravy. It’s a great weeknight dinner that growing boys inhale! It should be fine, as long as you make sure it’s reeeeally dry. When in the freezer for a while, especially in a container/bag you open from time to time, it’s likely to get a bit of freezerburn/frozen moisture from opening the door and opening the bag.. It’s also more likely that it will take on some other frozen food flavors. The best way to prevent that is making sure the crumbs are super dry and making sure there’s as little air as you can get before repackaging. Personally, I would make sure it’s extra dry before putting it back in, and I would leave any seasonings out of it (they can diminish from the freezer flavor leaks). Season as you go when you actually use it, cause you may need a good deal more (but who ever hurt from more herbs? And you’ll only need the same amount of salt). This might be a dumb question…but say I’m keeping a stash of bread ends in the freezer waiting until I have enough to turn into bread crumbs, it’s okay to thaw that bread, dry it out, crumb it, then refreeze for freezer storage? Oh, let me add my technique as well: I use a cheese grater to make bread crumbs out of dry, stale bread. Works best on leftover baguette or heels of bread. I usually just use my cheese grater to make bread crumbs. I put the grater in a bowl and use the side for making shredded cheese rather than the one for finely shredded cheese. No electricity required and it makes good sized crumbs even with fairly fresh bread. It is nice to hear about all these other methods. I may have to try them when I don’t feel like putting in the elbow grease with the grater. I think breadcrumbs from fresh bread are so much tastier, too, on top of being frugal / compensating for my forgetfulness. I hadn’t thought about mixing in seasonings like you suggest, so I’ll definitely give that a whirl. I use moist leftover bread and grind it to crumbs in my Nutribullet. If I have a need for a loaf’s worth I’ll use my food processor but I prefer doing the moist but stale bread as it makes a coarser crumb than doing it after drying. Then I spread it on a cookie sheet and put it in the oven on warm to dry out. I keep them in the freezer, one jar is vegan and one is not. Covering all the bases lol but I haven’t figured out a good yeast and gluten free version yet. Nut thins work for that but being made with nuts, I can’t eat it while my daughter and granddaughter can. Life used to be so easy lol. Some gluten free bread crumb substitution suggestions: 1) For a crispy topping use crushed potato chips. 2) For binders: dried instant potato flakes or crushed rice or corn Chex (adjust salt in the recipe). Thank you Heather. I’ll put these in my notes. Gluten and yeast free! I hadn’t thought of potato flakes. I love it! Thanks for sharing those techniques! I bake bread regularly, and often throw the extras in the freezer for just this purpose. Pumpernickel and rye breads make fantastic bread crumbs, particularly in your mini garden turkey loaves. P.S. I love your baking sheet. Where did you get it? Thanks! I got it from an online shop called Rove and Swig! 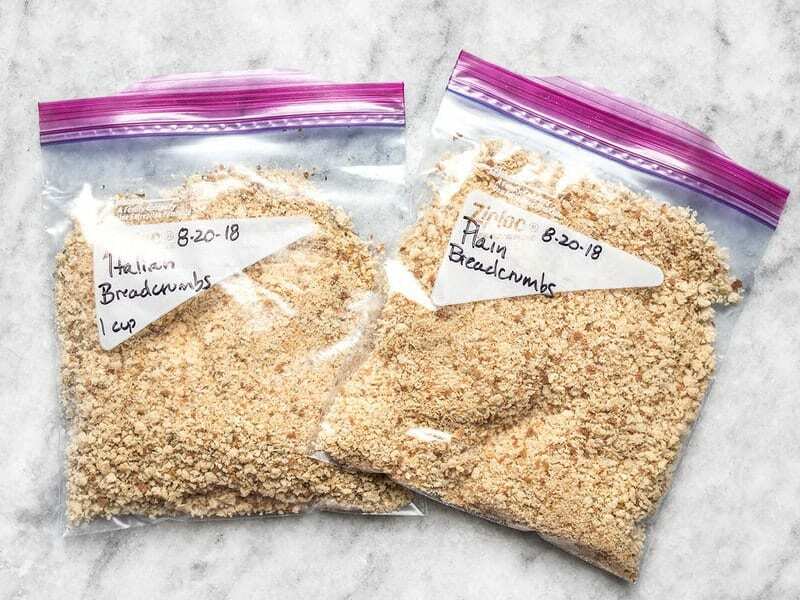 Homemade breadcrumbs is such a money saver! We opt for this most often when a recipe calls for them! I’ve used a blender to make breadcrumbs. A blender works fine, but that an issue in itself–if you aren’t very careful, it creates very fine crumbs, which are not what I want for most purposes. If the bread isn’t too hard, a rolling pin makes nice coarse crumbs similar to commercial panko, but I nearly always use my food processor. I do find myself grabbing my mini food processor which I found on sale a few years ago for about $20 and is perfect for grinding up small amounts of just about anything, including dry bread. Another tip–I use a lot of grated parm cheese in bread crumbs, although other dry cheese works well too, and a few dried heels of just about anything in that same mini processor will end up as crumbs. I’ve done that for decades. If used with the bread crumbs for frying or “oven frying” you will get a very crisp and flavorful product. If used as an ingredient, the cheese will add flavor and protein to things like meatballs, etc without adding a discernible cheesy taste. I tend to use a fair amount–about 1/4 c. of grated cheese (1/2 oz?) to 1 c. bread crumbs.